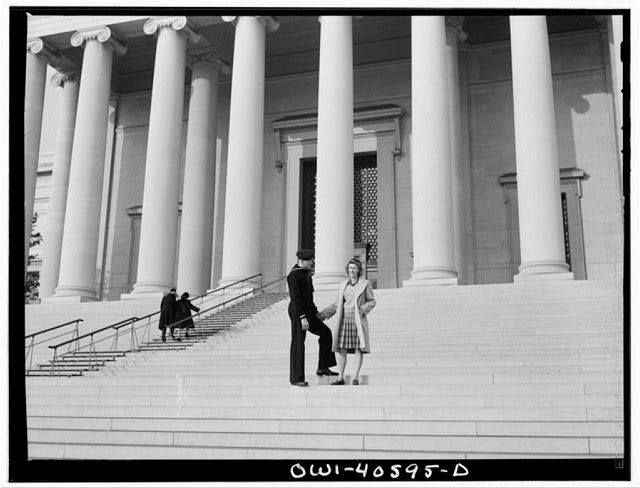 I'll never tire of the wonders to be found in the collections of the Library of Congress. 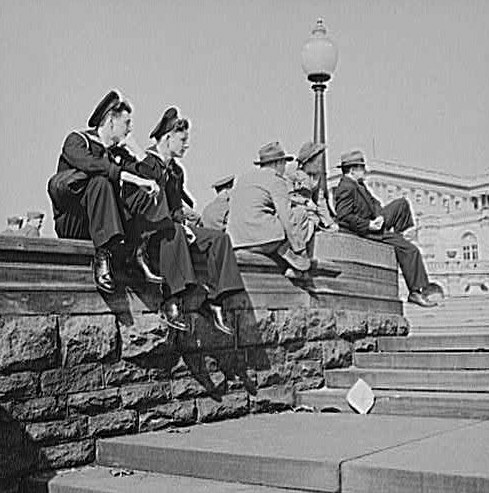 I was looking up an unrelated photograph by photographer Esther Bubley-- and discovered what a wonderful eye she has for all sorts of apparently ordinary subjects. 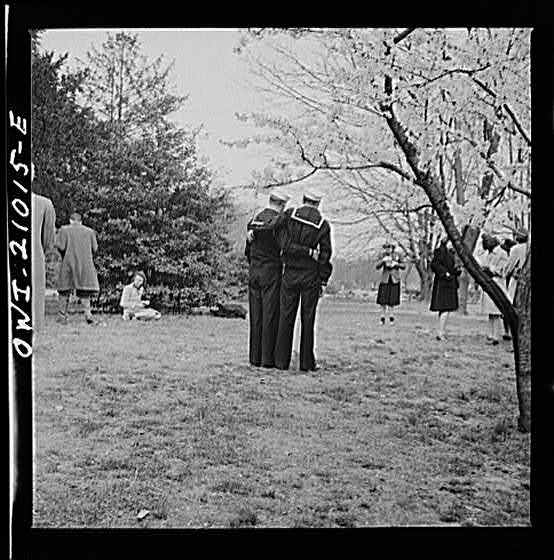 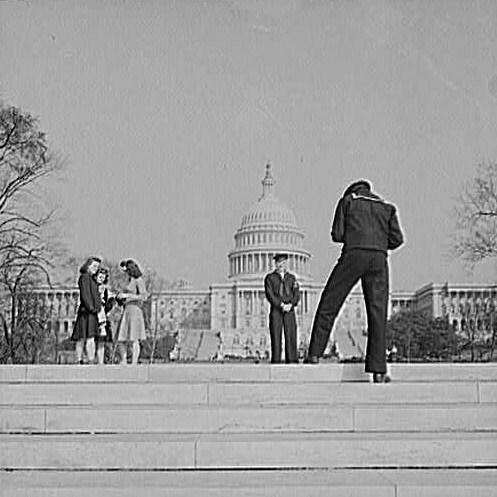 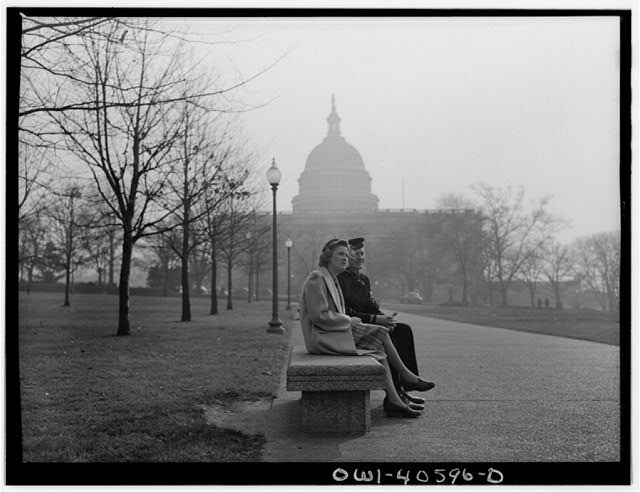 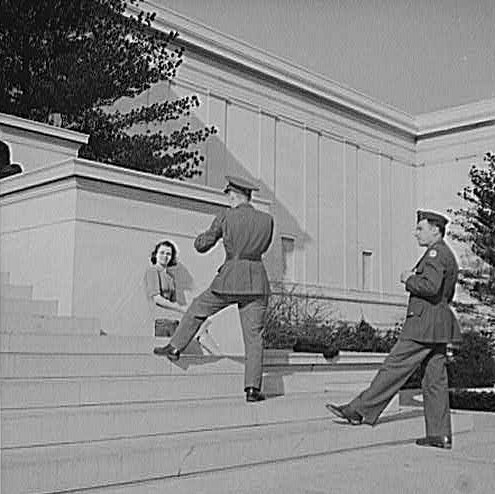 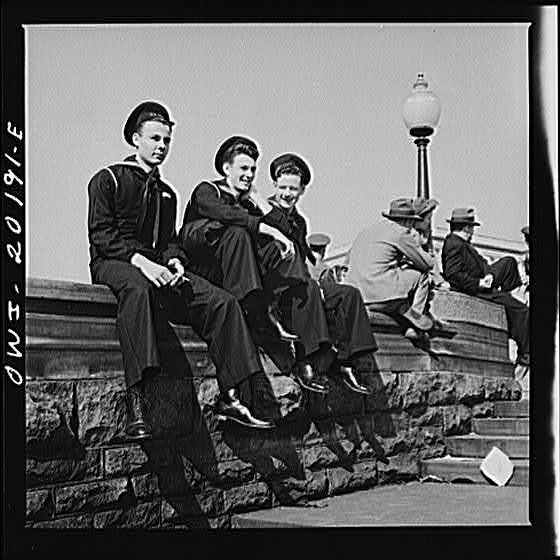 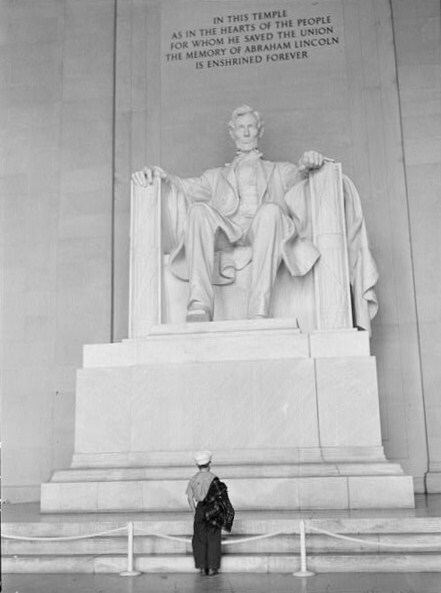 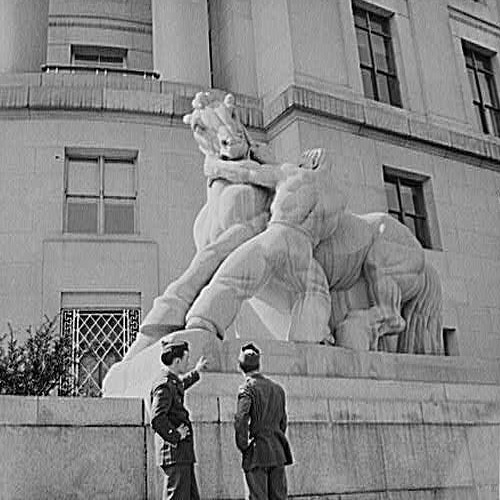 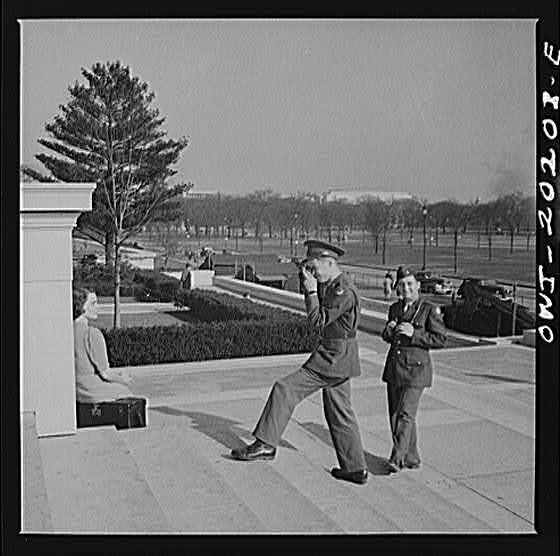 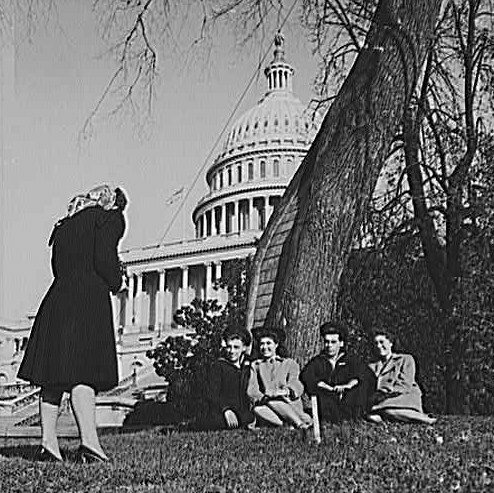 I found this series especially swell-- photographs of sailors and soldiers on their way through Washington DC in World War Two, taking the chance to sightsee, and naturally to take their own snapshots. 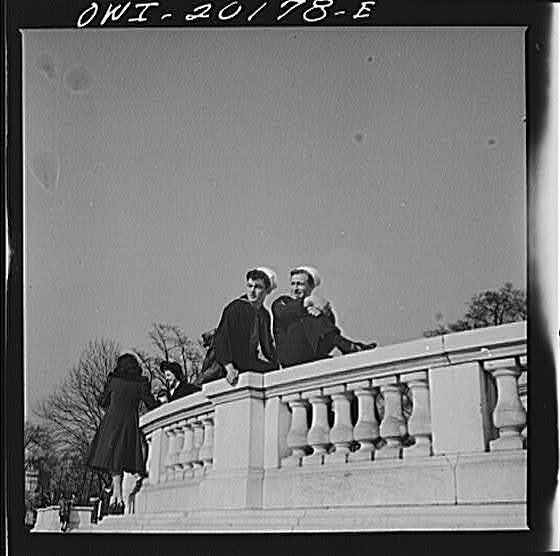 The quality of these photos isn't terrific, but I feel they're endearing enough to be worthwhile nonetheless!